I went to the Logan Temple yesterday [104 degrees in Utah!!! — hottest day EVER in June] [melted] and did Margaret Ann Craley. I don’t know why I said “did.” I’m not sure what the proper jargon is. I did her temple ordinances by proxy. How’s that? It was a wonderful experience and certainly blog-worthy. Tracy had an amazing experience with Margaret and her computer. I don’t know exactly how that works, but it would seem that Miss Margaret was pretty intent on getting Tracy’s attention and her browser “just opened” on Margaret’s page as if by magic . . . and she caught Tracy’s attention long enough to get her to work on that area of the family tree. As a result, Tracy noticed that no one had ever reserved Margaret’s work and so nothing at all had ever been done. Of course, Tracy made haste of that situation [I really believe my mother’s words just came out of my mouth! I don’t even know what that phrase means but it seemed to fit] Anyway . . . I had the privilege of doing her baptism, confirmation, [right and the baptistery] her initiatory work and then her endowment all in one day. I talked to Margaret throughout the sessions and basically bore my testimony of this amazing wonderful work. I hadn’t been to the temple for two weeks and I really felt like I was missing out on that sweet spirit. It seems like for about three months I’ve been going pretty regularly, maybe missing a week once in a while but when it got to missing two weeks, I felt a big void in my life. So I am trying to get there at least twice a month. 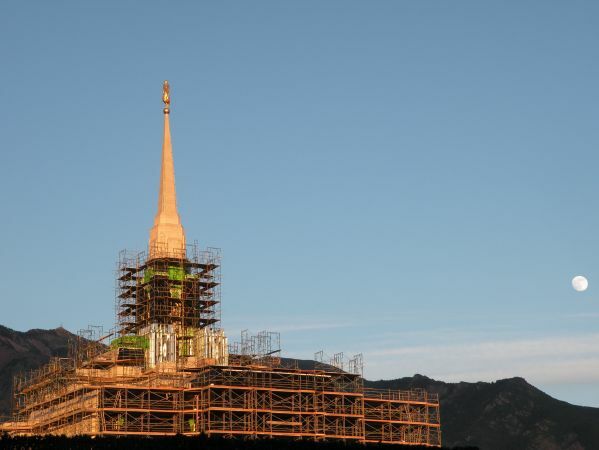 I can hardly wait until my own Ogden Temple is ready for temple work to resume. This renovation has been a long two years and will be more like three years before it is finished, all the details are done, and it is rededicated. I, seriously, wonder how people can have a temple right in their own city and not go. I figure it costs me about $40 a person. By the time I take a whole day, fill up the tank, pay for lunch, it is $40 for each person I go and do work for. I can’t even imagine how wonderful it would be to just walk out the door, hop in the car and drive for five minutes, go to a session for an hour and forty minutes and then drive back home. But, maybe that makes me appreciate the temple more. I really have loved going to a variety of temples this past Spring and have had some amazing, wonderful, peaceful experiences. Top on my list, still, was going to the three different temples in one day. That was totally the highlight of all my goings. I wish I were keeping track of whose work I have done. With my penchant for counting and keeping lists, it would be fun to be able to look back at the list. Now I’m really kind of thinking that isn’t the purpose and I don’t need to know ‘how many.’ Missing the point if I make that more important than the work, itself. I am just grateful that I’ve had the opportunity to do this work with Tracy. It has blessed my life and the lives of my family. I can see it over time. I might not notice any kind of change every single day but I have seen, over time, an improvement. I didn’t start this process to ‘become better.’ I did it to help Tracy. But I hope that I’ve become better along the way. I do know this. I sure feel better! I have seen President Hinckley’s promise has enrich my own life.